Omega Hotel Amsterdam is a small, 3-star hotel in a quiet area in Amsterdam-Zuid. Hotel Omega is an ideal base for various tourist attractions in Amsterdam. 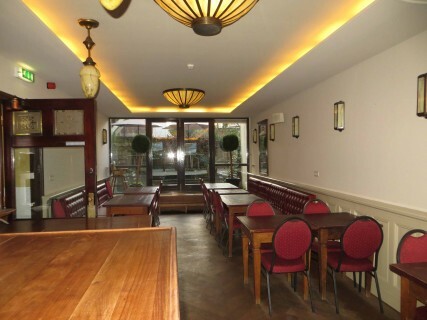 Hotel Omega is directly near the trendy Cornelis Schuytkwartier, with many shops restaurants and cafes. The exclusive PC Hooftstraat and Van Baerlestraat, both of which are in close proximity to the hotel, are two important shopping streets. The famous Albert Cuyp daily market is at close range of the hotel. A 5-minute walk takes you to the Museumplein with the van Gogh Museum, the Rijksmuseum, the Stedelijk Museum (Modern Art) and the Koninklijk Concertgebouw (Royal Concert Hall). The hotel is situated close to the Vondelpark, the largest public park in Amsterdam. This is a great place for a stroll or a picnic. Through the park it is a 10-minute walk to the Leidseplein In the Leidseplein area you will find lots of bars, restaurants and clubs. From here you can leisurely discover the rest of the city centre city. Hotel Omega has 32 rooms. All rooms in the hotel have a private bathroom with shower and toilet. The rooms come with a safe, television, telephone, hairdryer and desk. Not all rooms have air conditioning. If you want air conditioning, you can contact us prior to your arrival. We can then try to grant your wish. Free WiFi is available in the hotel. The breakfast buffet is included in the price.